If you've read my blog before, you may know what a big fan I am of wall stickers. They are such versatile products, you can get them in a huge range of designs and they are a fantastic way of updating your space without damaging the walls. 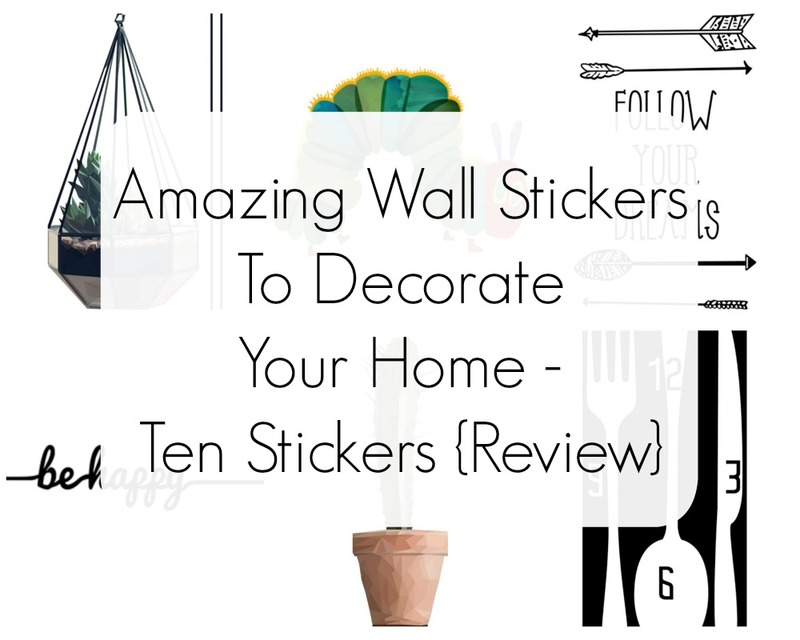 I was so excited to be given the opportunity to review a selection of amazing wall stickers from Ten Stickers - and I have to say I am very impressed. What's so great about wall stickers is the fact that you can use them even when you are in rented accommodation. Often if you are only renting, you aren't allowed to put things into the walls, but as long as they are good quality stickers, you can peel them off and the walls look good as new! I've been updating our bathroom recently, and I knew it needed a little something extra. We have this large wall that's all tiled and I couldn't hang anything there, but I really wanted a plant on display. What perfect way to display a pretty plant in an awkward place than to use a high quality wall sticker! I chose this Hanging Plant Sticker and I really love how it looks. It's not too big but it looks lovely where I've placed it, and it's the first thing you see when you open the door! I also wanted to get a little something for my little ones' gallery wall in their bedroom. We have always been big fans of The Very Hungry Caterpillar so I knew they'd love this little fella on their wall. As you also might already know, I am a huge sucker for a quote so I decided to decided to get a couple in wall sticker form. This fantastic Follow Your Dreams sticker is above my bed, and the short but sweet Be Happy sticker is above the bathroom door. I wanted a big plant sticker for my living room, something simple and not too vibrant - and I absolutely loved the look of this Polygonal Cactus sticker. It's a beautiful geometric sticker, in nice calming colours to help create a fresh, minimalist look in your home. Last but not least is this amazing Cutlery Clock Sticker - that's right, a sticker that is also a clock! I freaking love it. It's such a genius idea, and a great way to display a clock in your kitchen where ever you want to place it. I love it! All in all, I am incredibly impressed with Ten Stickers wall stickers. They are all excellent quality, easy to place and look really stylish in your home. Like I said they are a great way to update a room, without having to damage any walls, and help brighten up your space. The stickers are made of a high quality material, making them easy to apply in place and remove just as easily - plus you can order a small spatula too, to make the placing of the stickers a breeze. 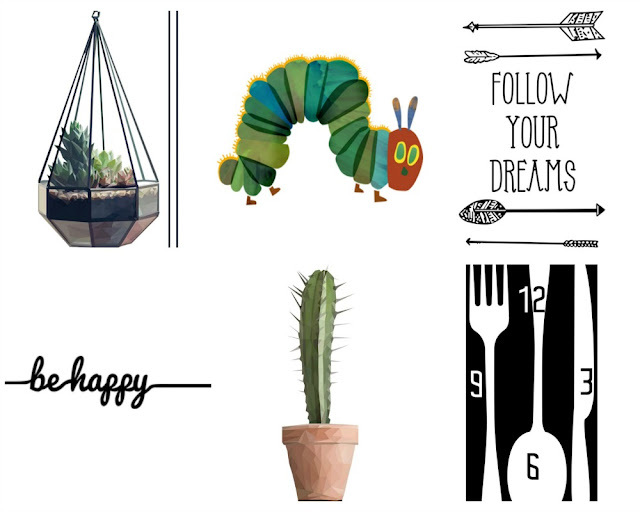 I really recommend checking out Ten Stickers if you are looking for some new wall decor, or wanting to update a room! This post was sponsored but I did not receive monetary compensation. I received the products to review. All opinions are my own.